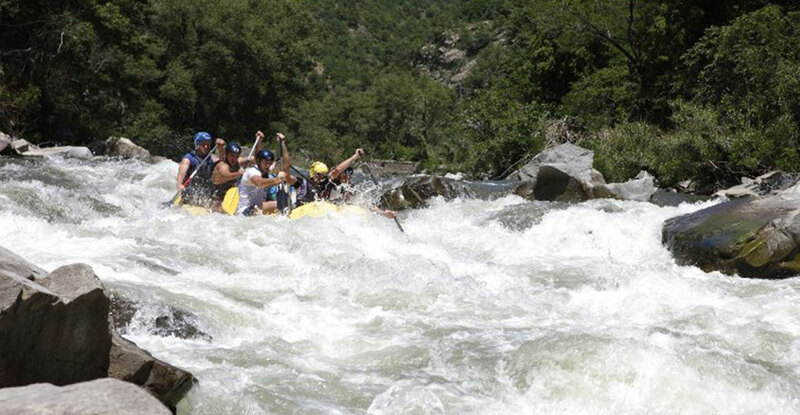 Event Bulgaria Ltd. offers the following two types of entertainment: kayaking in quiet waters and rafting. For kayak groups must be a minimum of 6 and a maximum of 20 people. But with more people interested, we can offer individual offers for you - our customers. We work on the following dams: Kardjali dam, Studen kladenets dam, Ivaylovgrad dam. Other reservoirs in our portfolio are the Batak Dam, Dospat Dam, Shiroka Polyana Reservoir, Tsigov Chark, Beglik Dam, Koprinka Reservoir, the Danube River and on request the Black Sea coast or in a pond wished by the client. 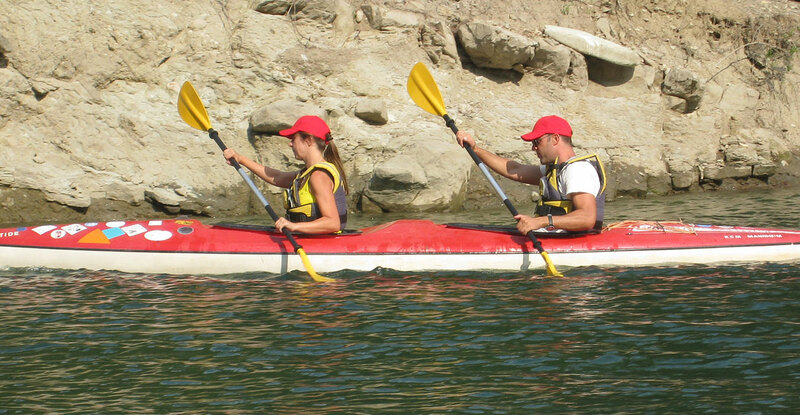 Event Bulgaria Ltd. provides all the necessary equipment, a boat (two-seat stable equipped with a rudder, paddle, floating vests). 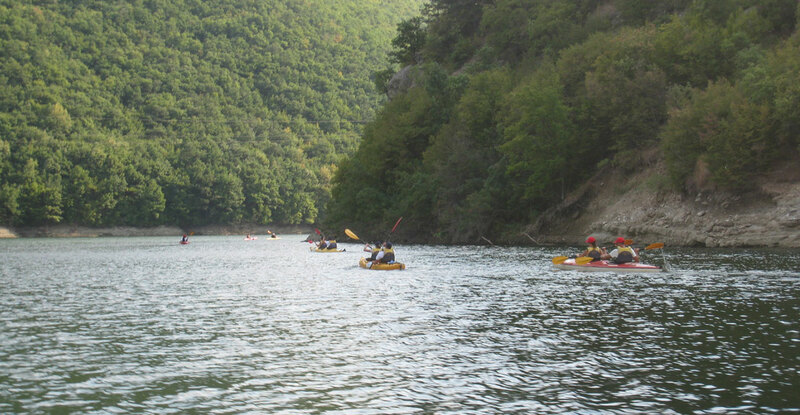 We also provide what the others do not offer, namely in Kardzhali Dam, Studen Kladenets Reservoir and Ivaylovgrad Reservoir, we have a safety motorboat that goes with the group for more relaxation of the participants. Kayak in Antalya. It can be practiced in a river or sea throughout the winter season. 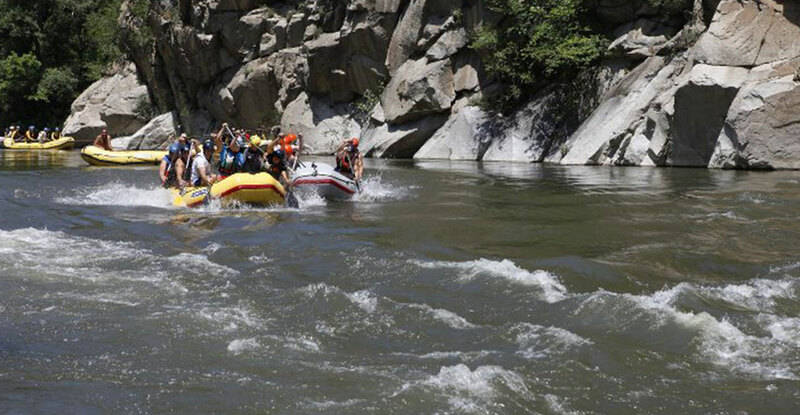 Rafting on the Struma River. We provide ALWAYS laundered, clean neoprene helmets, boots, boats, paddles, paddles and all the necessary equipment. 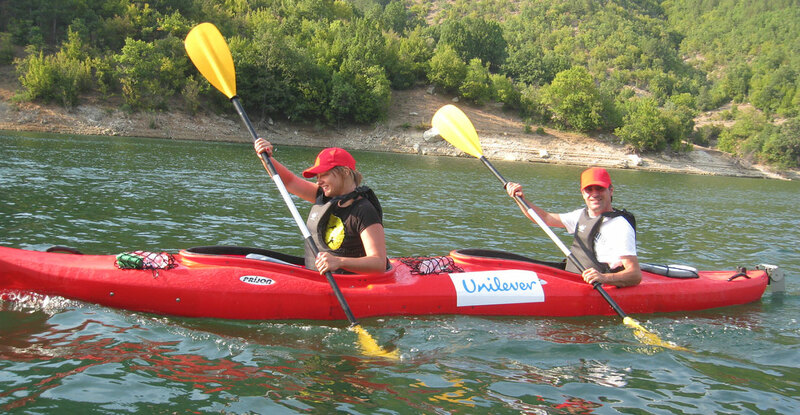 And for kayaking and rafting, the instructions of Event Bulgaria Ltd. always carry out mandatory instruction and training. 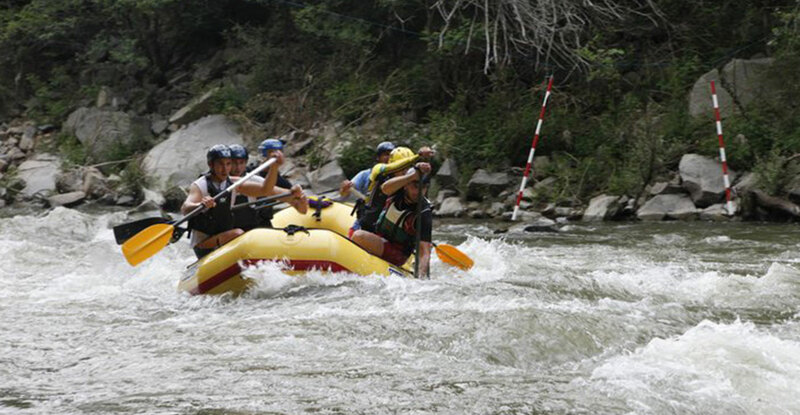 Experienced instructors with certified rafting guides, water rescuers, former kayak racers and rafting championships and medals from world championships and olympiads both in kayak and rafting are catered for customers. NSA qualified coaches in the field of sports. Events can be combined with a visit to historical and natural attractions. If interested, we can do it in Turkey and Bosnia and Herzegovina. The groups must be minimum of 6 and a maximum of 12 people. At individual wishes, we respond according to the inquiry.